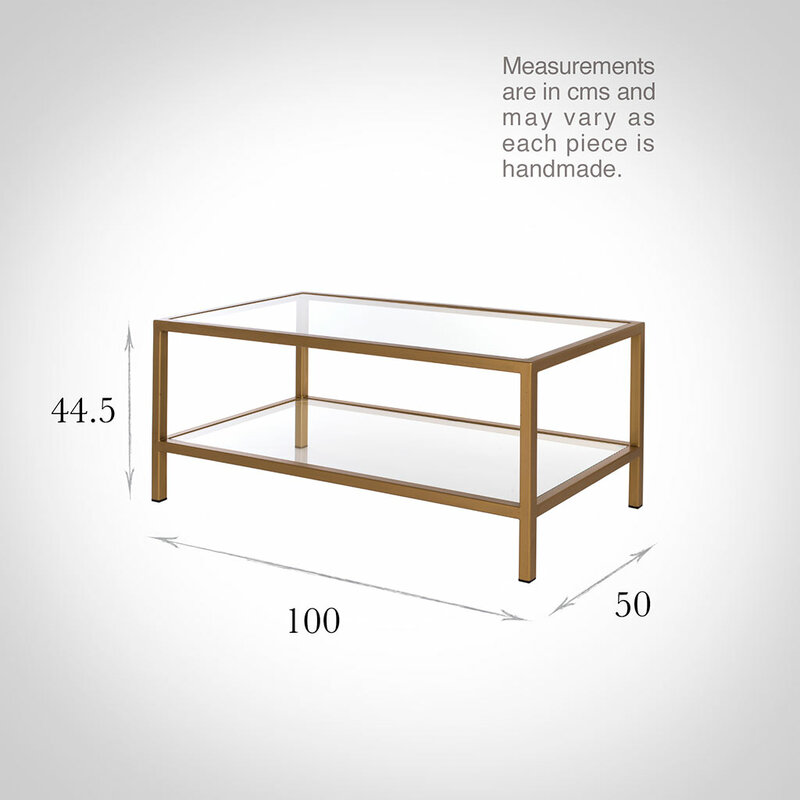 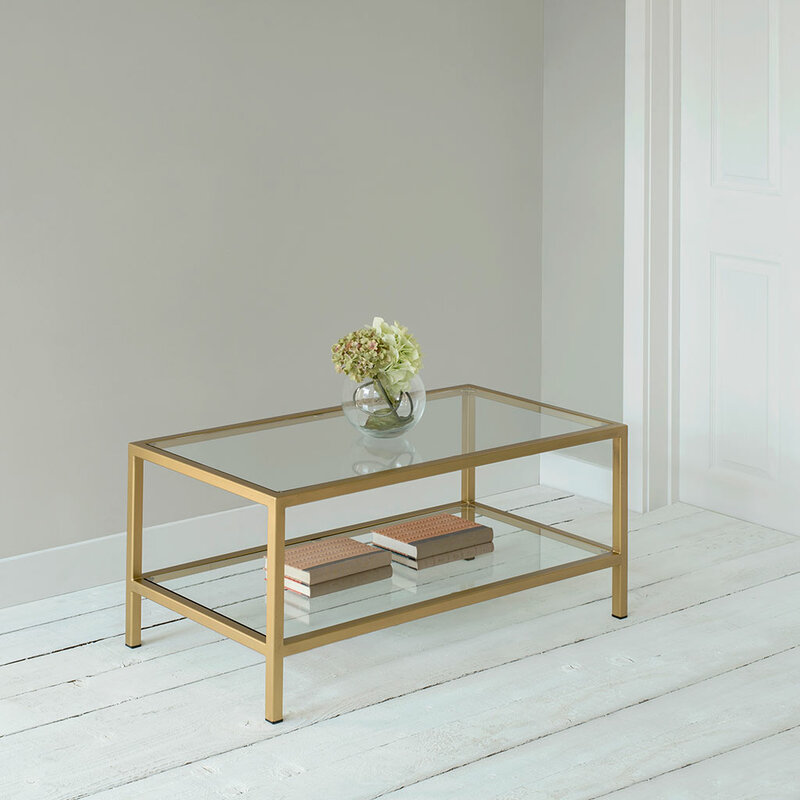 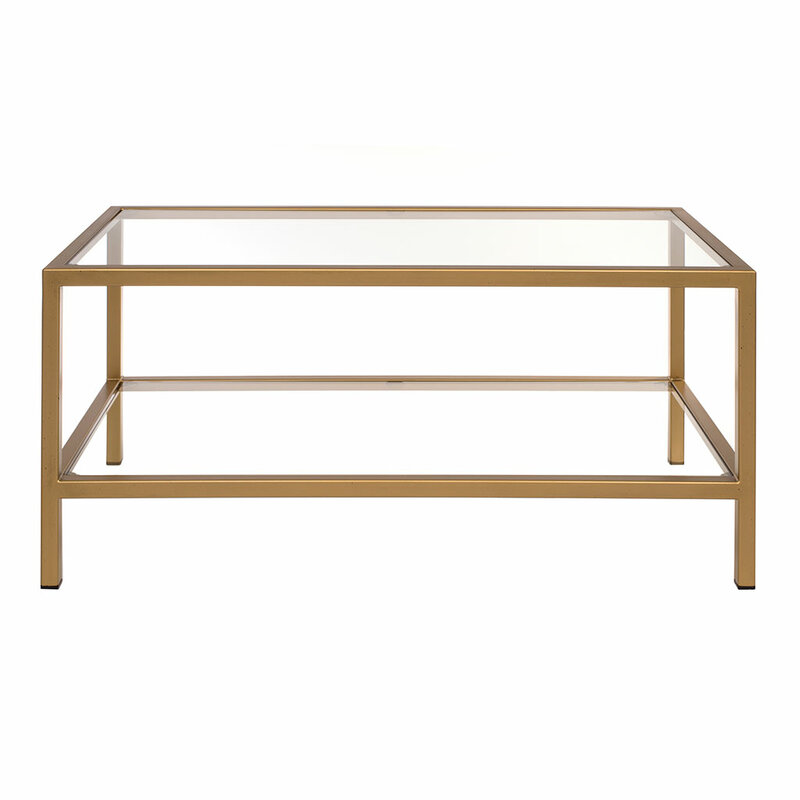 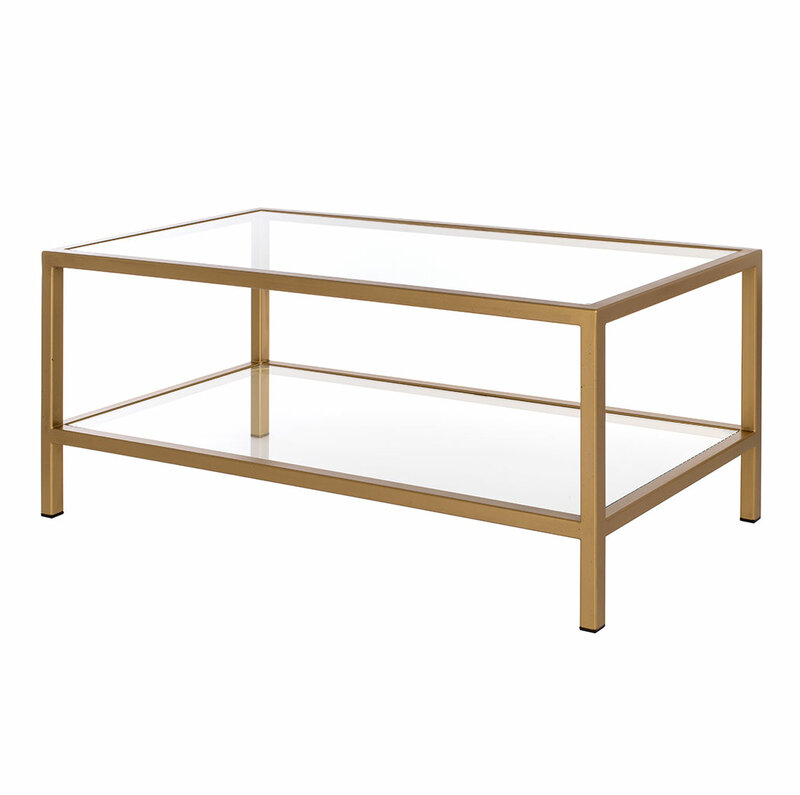 An elegant coffee table, made from forged steel and topped with clear glass and featuring a matching glass shelf. It would sit perfectly in the centre of a sitting room, whether period or modern in decor. 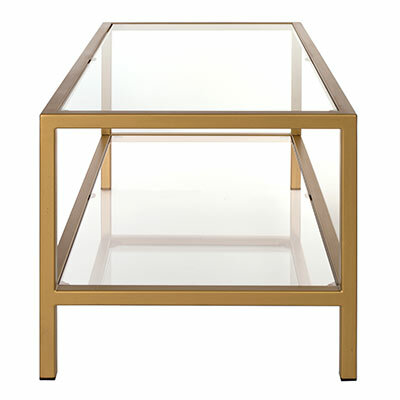 It is a practical size, rectangular in shape and finished in Old Gold for a classic look.